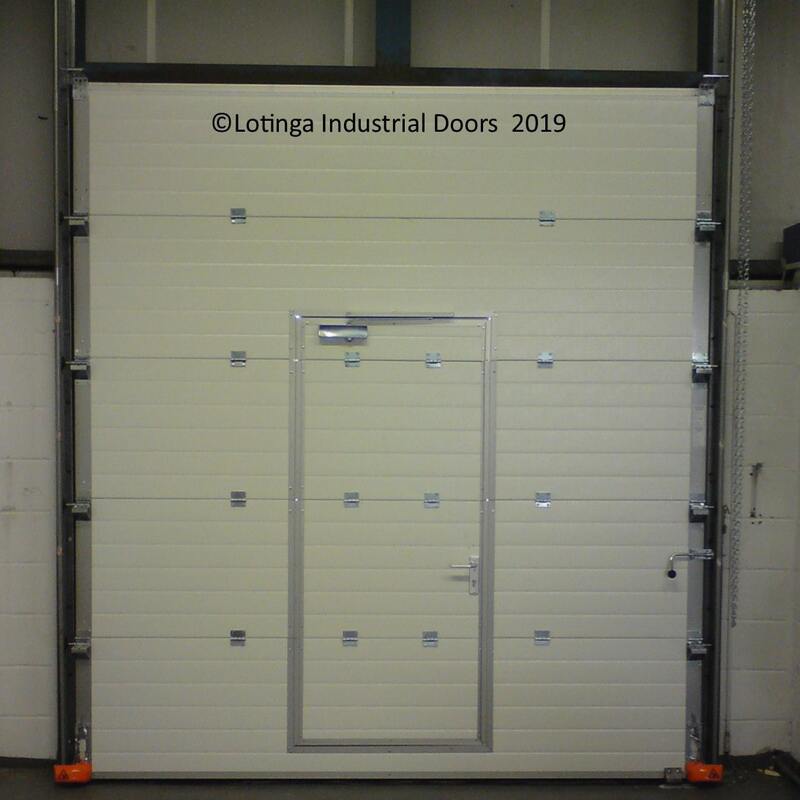 Steel Insulated Shutter Doors consist of a galvanised twin skin and single rib steel curtain; designed to accommodate a rigid CFC free polystyrene infill; for the purpose of, providing a thermal insulation value of 0.69 W/M.sq.k. Furthermore; it provides an acoustic insulation value of 18D.B with plastic end locks. Included is a specially designed vertical seal strip and galvanised bottom rail with rubber seal to complete the insulation. 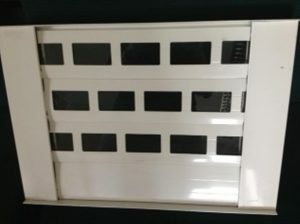 They have a flatter profile than non-insulated roller shutters. 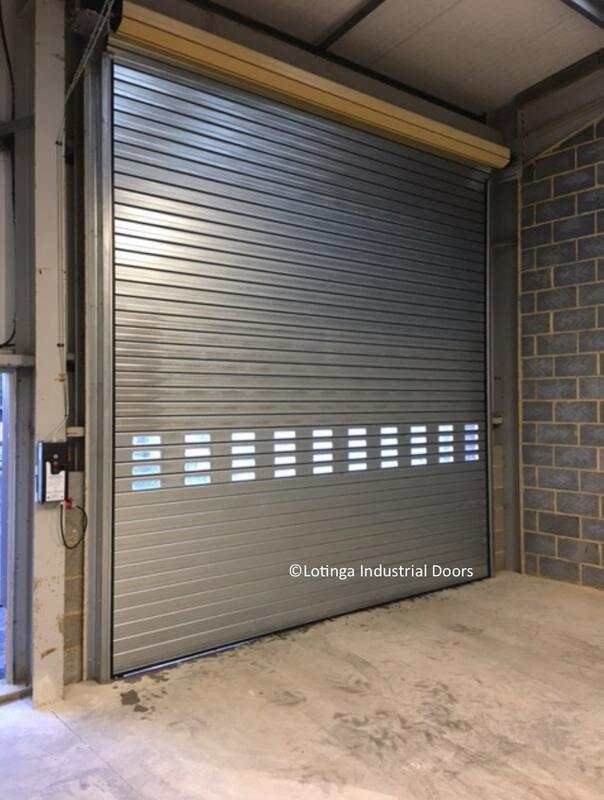 Aluminium Insulated Shutter Doors consist of 77mm x 20mm Foam filled aluminium laths with a certified U value of 4.73W/m2 K.
The doors are lightweight and with their double walled construction, are very strong. A thermal value helps to increase the performance of your premises; also; you can opt for either manual or ,electrical operation. 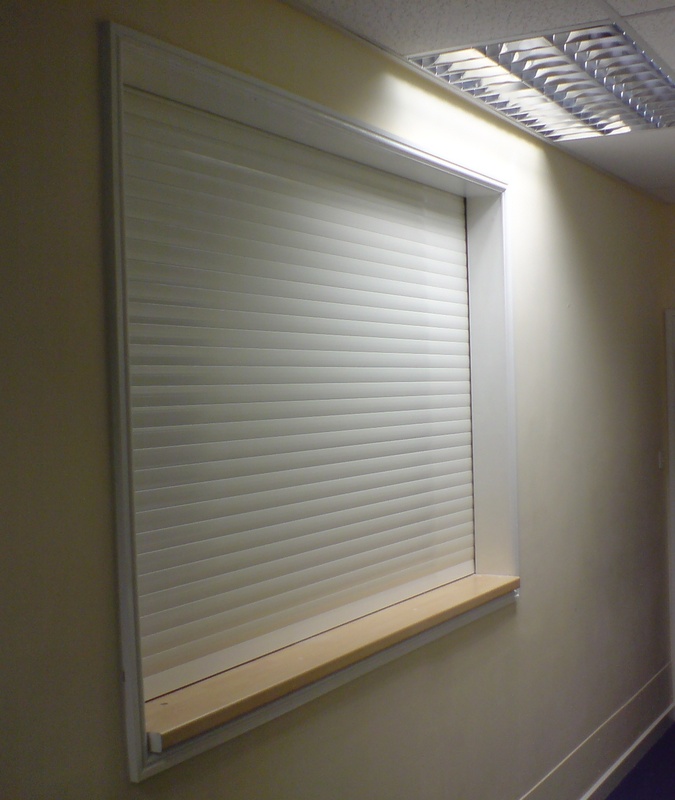 If you would like some natural light into your building, the polycarbonate window infills are an ideal solution. 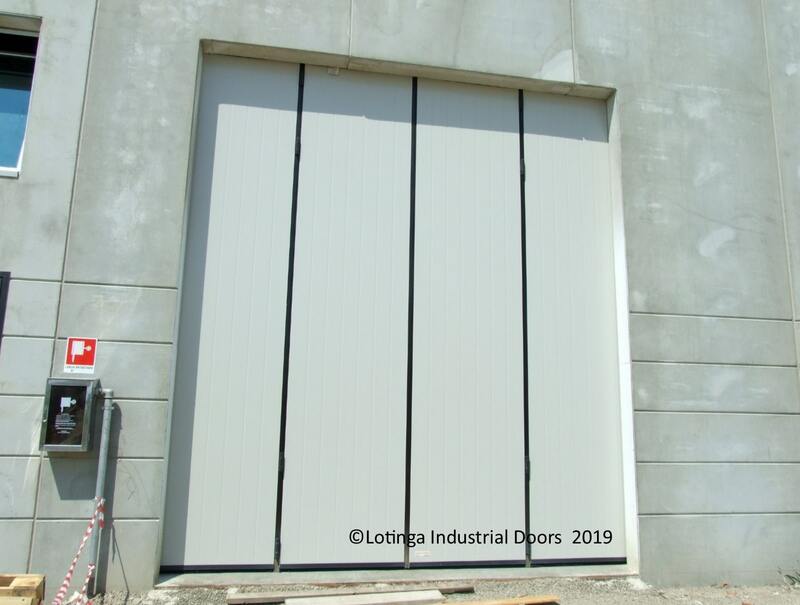 Sectional Overhead Doors consist of high density CFC Free polyurethane foam between steel sheets with a thermal break at each joint. They are extreemly thermal efficient; and also, provide effective protection from the weather. 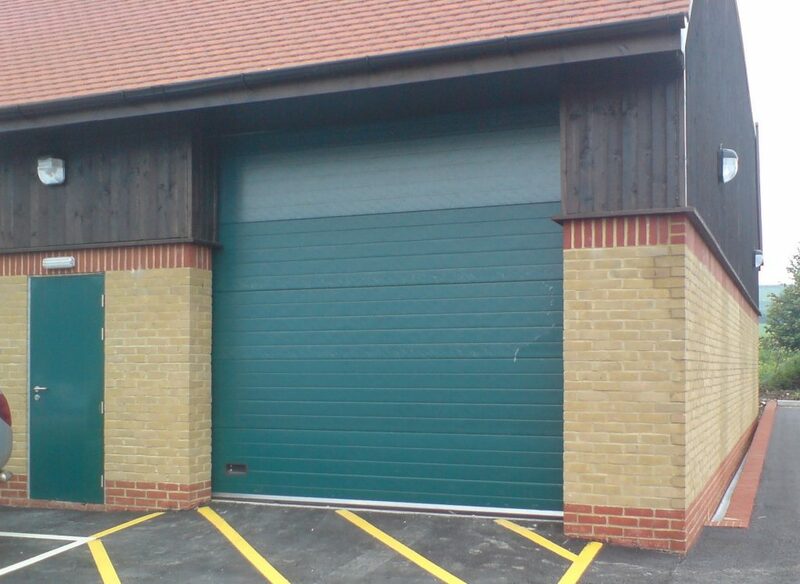 Depending on the degree of insulation required, these doors are available in 40mm, 50mm and 80mm thick panels. Additionally; vision windows are available. Folding Doors are the perfect solution when side or headroom is limited. Not only do Sliding, Folding and Bi-Folding Doors provide thermal resistance but also give acoustic insulation if required. In addition; many of them also offer high wind resistance. Professional Advice, Reliability and Maintenance Discounts. We do our utmost to provide the best professional advice and service. From the first point of contact; advising you about the best type of door; through to installation and aftercare maintenance. 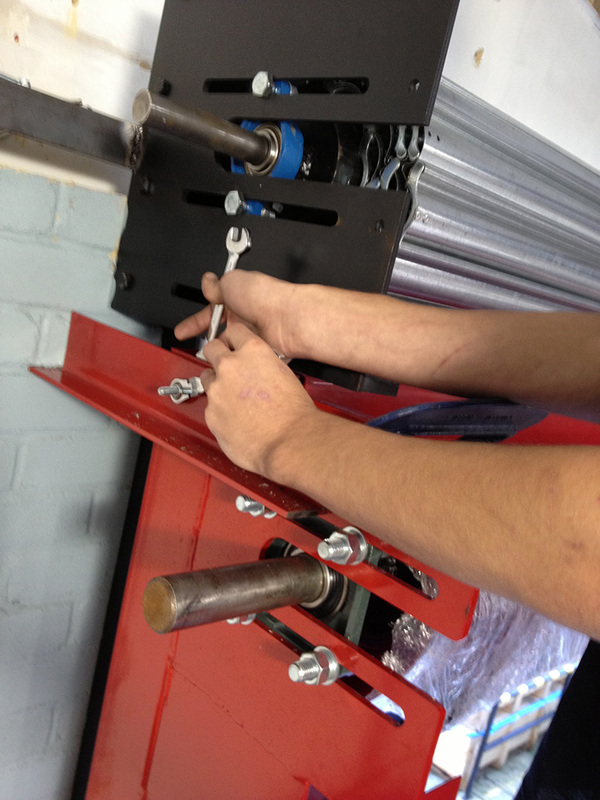 It is a legal responsibility to ensure industrial doors are serviced annually. So, to aid our customers uphold this duty, and more importantly, keep their doors maintained and safe; we offer a Service Agreement Facility; which entitles the holder to discounts off repairs. Click on our Service and Discount page or Contact Us for further information and a Quotation.